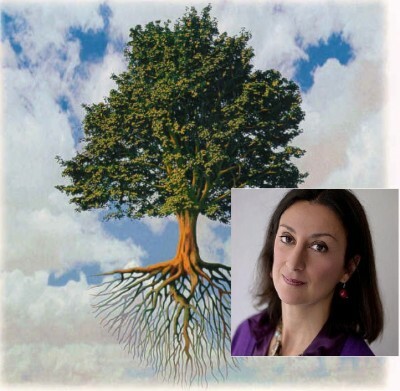 *Strasbourg/CoE/Angelo Marcopolo/- It's thanks to her Critical, Investigative Journalism, and the Independence that gave her a WebNews Site, Free from Censorship which, Otherwise, used to hit her Traditional Weekly Newspaper Articles, too often Affected by Threats to Reduce or Stop Paid Publicity by a Corrupted Establishment, that Murdered Web Journalist Daphne Caruana Galizia had managed to become probably the Last Real Independent Check for a Controversial Government in Malta, her 3 Sons told "Eurofora", after a Special Event with Medias and MEPs at CoE's PanEuropean Assembly in Strasbourg Today. - "What we Want is Justice, for our Mother's Murder, Not Money ! That's why the Urgency is to make Now an Efficient and Transparent Investigation in order to Find and Punish those who instigated and carried out such a Brutal Murder in broad DayLigt at an EU Member Country as Malta, told us in substance the Victim's Elder Son, Mathew (born on 1986 : By a Coincidence, exactly as "Eurofora" Co-Founder's own Son !). That's why an eventual Condamnation by the ECHR won't be enough, since usually it arrives Late, and most of the times consists, in Fact, mainly at a Payment of a "Just Satisfaction", which is Not what we want : It's European/International Pressure Now for a Real, Independent Investigation that is Urgent, he stressed. => In Consequence, a practical EU/CoE+ Cooperation seems Possible and Necessary, particularly after new EU Parliament's President Antonio Tajani (former LongTime EU Commissioner) recently declared to "Eurofora" his "Readiness" to Help do so, (See: http://www.eurofora.net/newsflashes/news/euparliamentpresidentoncoeandjournalistmurder.html), while, Nowadays, the Experienced vice-President of CoE Assembly's Human Rights Committee, Pieter Omtzigt, a mainstream MEP from the Netherlands, and CoE Assembly's Secretary General, Wojciech Sawicki from Poland, replying to relevant "Eurofora"s Questions, have Both reacted Positively in this Direction, (See also Infra), while More than 14 Important NGOs on Press Freedom, (including, f.ex., CPJ, EFJ, RSF, etc), have already Declared their Support for an Internationaly-Monitored Investigation on that Brutal Murder, signing for Today's CoE Event. - "It seems that there is No Chance for Justice by our National Institutions", Mathew Caruana Galizia, speaking on behalf of all 3 Sons of the Victim, Denounced from the outset. - F.ex., even EU's "1 Minute Silence", paying Homage to the Victim, was Not Broadcasted in Malta, perpetuating there a "Dangerous Environment" where Law Enforcement Authorities have been Captured, politically, by the Executive part of the Government, Mathew criticized. - "Our Mother was Simply doing her Duty as Investigative Journalist, But she was a Lone Voice. She spoke for Hundreds of Thousands of People, but she was Isolated", he described. => Thus, "She was Targetted and Harassed before her Assassination, simply for what she Wrote". >>> And "the (Public) Institutions not only Failed to Protect her, but they even took part in her Harassment : There were Key Members of the Government, and of the Police Force, going out for her", he denounced. + In Addition, "F.ex. Our House was set on Fire Twice. Several of our Pet Dogs were Killed, (etc)... And at the "Last Year" of her Life, she was at the Receiving end of no less than ...47 Law Suits, for what she wrote. 9 or 10 Libell Law suits, used only in order to get after her. She also Faced 5 Criminal Defamation procedures, which means that the Police was Persecuting her, adding also to Financial and Psychological Harassment and Hate, our Family being Targetted by various Vexations and countless Harassments, provoking a Dangerous Environment in which occured her Brutal Murder (by a Car Bomb Explosion, near her Family Home, where her Son Mathew saw her Disappear, while his Mother's "Body Parts" were falling around him, as he described the Horror). - "When someone proposed an Independent Panel of Enquiry, composed by Retired Judges, that was Shot Down by the Parliament", (where the Governing Party holds a Majority). + "We found out that the Head of the Police Unit Investigating our Mother's Murder, was personaly linked to someone against whom our Mother had Investigated as a Journalist. He was Married to a Senior Cabinet Minister, and related to Suppression of Reports about Money Laundering by Government Officials. So, the Family is Fighting a Legal Move to Replace that Officer, against which the (Socialist) Government is Fighting Back". ==> "Investigation is in Serious Breach of Fundamental Human Rights, according to ECHR's standards (as also a reknown Lawyers' Office acknowledged recently). No way to declare it "Independent" or "Impartial". "It's Failing to Secure Evidence", etc. - "The Greatest Problem we face as Victim's Family, is that we DoN't have Domestic Remedies (able) to Change the Course of Investigations", he denounced. We have Nothing to Ensure that Police would operate withOut Political Interferences. We have No InSight in this Investigation. We dont' have a Mechanism to Seriously Examine, inter alia, All those Issues, and Find out what happened". => That's why, "Today, we Ask your Help : F.ex. 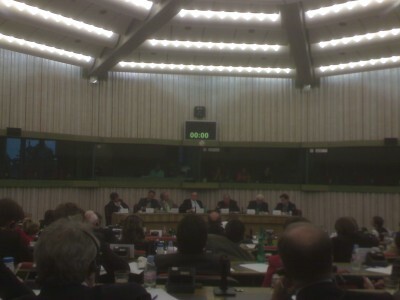 to Sign a Motion for the Nomination of a Special Rapporteur, to supervise the Investigation, concluded the Victim's Sons Appeal to PACE's MEPs, at Today's Event, sponsored by representatives from the 3 Biggest Political Groups, (Pieter Omtzigt, from the ChristianDemocrats/EPP, Frank Schwabe, from the Socialists, and Anne Brasseur, from the LIberals). * (A) EU Parliament's President, Antonio Tajani, in Addition to his other relevant Statements, also Told "Eurofora" that he would Like to Cooperate with the CoE, f.ex. in Parallel, to Help the Investigations of this Murder. What can be done, in this regard, as a Standard-Setting move, for Other such Cases too ? ", we asked, at First, MEP Omtzigt, Experienced vice-President of PACE's Human Rights Committee. * (B) "There were some Informations that, Shortly Before the Murder, some kind of Threats had appeared recently. Do you know if there Might be something Interesting for the Investigation there ? ", "Eurofora" also asked Daphne's Sons. 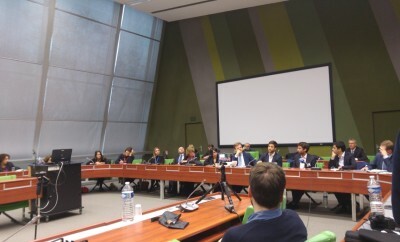 - "On the 1st Question : We (EU and CoE) Always Cooperate with Each-Other, f.ex. it Happened with the CIA (Reddition Flights, Massive Surveillance, etc), the Experienced MEP reminded, as a matter of General Principle. - "Of course, we don't have a formal Common Mechanism, Both for EU Parliament and CoE's Assembly, but we always Cooperate", he confirmed. + "By the way, it would be Helpful if the EU would live up to the Lisbon Treaty, and finally Accede to the CoE, (i.e., practically, to the PanEuropean Convention for Human Rights), Omzigt suggested. - At any case, most in "EU Parliament were very Positive, (about the Need for International Monitoring on the Investigation of Daphne's Murder), and felt that "something Appalling Wrong" had happened in Malta, he attested. - "About Threats that my Mother Received : These were well Documented", Mathew observed. - In particular, "She complained several times about those Harassing her. We all Know Who they are", he stressed. - "F.ex. It's No Secret for the Economy Minister", and/or "one of the Governing Party's Financial Backers", "the Prime Minister's Chief of Staff, and that one of the Biggest Goverment supporters, who were Selling Maltese Passports", (etc). + Recently, "there were even anonymous Sources coming among the Police in Malta. But when it was Published, the Police immediately Denied it, saying that there was No Report in our Mother's Local Police Station". However, "There isN't still a Clear Answer, Whether they Verified that Report, or Not", he critically observed. - "The Reality is, that by the End of her Life, she hadn't given up Fighting, Despite Death Threats, which were Repeated", resulting in a "Dangerous" situation, also "By the Lack of Police Action against her Main Harassers". + The Fact that the Police was so Quick to Deny, and Classify even Police Reports, is also Evidence that the Police is Interested in Exonerating itself, from any kind of Responsibility. For us, there is a Clear case for that"
>>> - Indeed, "Our Mother was visibly Threatened. Visibly Under Pressure. Visibly Isolated. Everyone could See this !" ++ "After the Change in Administration of 2013, ... Police Present in our Mother's Neighbourhood was Relaxed. ... The Excuse was that <<the Police didn't want to intrude in her Privacy>>" (sic !). - "But, there are Ways of providing Police Protection, withOut Intruding in someone's Privacy", Mathew objected. - "One of these ways, which might be effective, is to Prosecute Criminals"... "Another of these ways is to try to Follow People who make Bombs, and plant Bombs. In Malta, there have been several Car Bombs in the Last Few Years", probably by "Organized Crime"... None of these Car Bombs have been Solved" yet, and Noone has been yet found", he denounced, pointing at a Wider Scandal. - "From EU Parliament, MEPs have interviewed a (Maltese) Police Commissioner, and one of them Asked, directly, whether Effective Police Protection was provided". - "This is on a Report, that I really Encourage you to Read", added Paul, also in Reply to "Eurofora"s above-mentioned Question, Comp. Supra). Particularly given also the considerable Erosion of Trust to FBI even inside the USA, Nowadays, where Many People Criticize it for pushing Too Much the so-called Anti-Trump Investigations for alleged "Collusion" with Rusian Attempts to Interfere in the 2016 US Presidential Elections, but, on the Contrary, to be Too Lenient vis a vis Hillary Clinton (the former "Socialist" Candidate) and former President Barack Hussein Obama, etc., to the point to have reached an all times Low in Credibility, as part of what American People often Denounce Nowadays as a Politically Motivated "Witch-Hunt" by un untrustworthy "Deep State", (Comp., f.ex. : http://www.eurofora.net/newsflashes/news/journalistgreenwaldfortrumpondeepstate.html). + In this Similar Direction, an even more Recent Attempt to "Discredit" a Whistleblower Maria Efimova in Malta, (almost, mutatis-mutatis, as ... lawyer Natalia Veselnitskaya in the USA...) by unearthing, (after a previous failed attempt to "Blame Putin" politically), at the Last Minute, Many Years After the Alleged Facts, a Controversial and UnRelated Claim Against her, Obliging Authorities in Cyprus to reportedly issue a "Warrant" for a Private Company (reportedly dealing also with some Azeri personalities) claims against her, (Largely commented by the Medias this Week), was also Criticized by the Murdered Journalist's 2nd Son, Andrew, himself a Journalist, speaking to "Eurofora" and other Medias, inside the CoE in Strasbourg. That latest move is related with an Affair about a "Pilatus (Private) Bank" set up in Malta (and later in London) by an Iranian Businessman, who got "Citizenship" at St. Kitts and Nevis islands, Seyed Ali Sadr Hasheminejad, on whose suspected activities the Murdered Journalist had notoriously written several Articles in the recent Past, and which seems to be related with several possible "Links" around the current Regime in Malta, as Daphne's Sons confirmed to "Eurofora". >>> - At any case, "What We are Asking for, is Not just an eventual ECHR Judgement, a Long Time Later, which might just condemn this Government to Pay some Money : Because "We do NOT Want Money. We Want an Efficient Investigation on the Murder of our Mother, in order to Find the Truth and for Justice to be done" ! 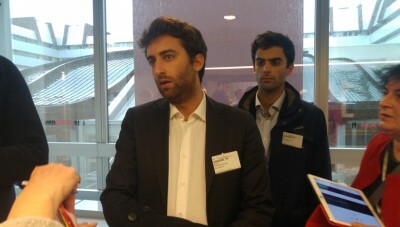 ", clearly and strongly stressed to "Eurofora" Daphne's 1st Son, Mathew. 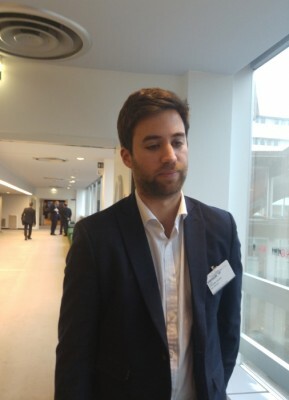 => For that Purpose, a Draft "Motion" has already Started to Circulate inside COE's Assembly, in order to be Signed and Published asap, Later this Week in Strasbourg, Experienced Top MEP Pieter Omtzigt confirmed. Omtzigt was Holding in his Hands the precious White Paper, where he Hoped to Attract the Maximum possible of his collegues PACE MEPs' Signatures, this Week in Strasbourg. 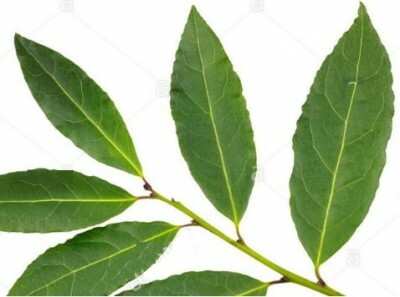 A crucial piece of Paper, like the Leaf of a Bay Laurel Tree : a Mythic "Daphne" in Ancient Greek, from where Originated the Name of Daphne Caruana Galizia, as her Youngest Son, Paul, confirmed to "Eurofora". Events had Obliged her to Drop the Classic White Leaf of Paper, since her Traditional Newspaper faced too often Pressure for "Censorship", mainly through Establishment's Paid "Publicity" Monguls, who could Threaten to Reduce or even Stop Funding, unless they were obeyed. - But, what a Surprise : The Murdered Maltese Journalist's Youngest Son, a Student of London's School of Economics, knew well the Ancient "Greek Mythology" from which had Originated his Mother's Name ! 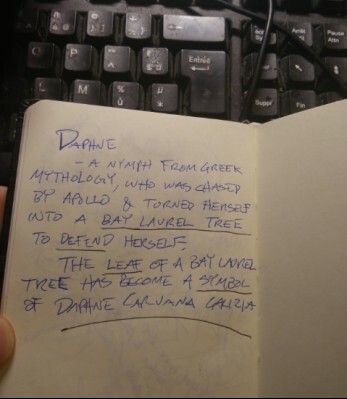 - "Daphne was a Nymph ... chassed by (the God of Light) Apollo, who turned herself into a Bay Laurel Tree", in order "TO DEFEND Herself", Paul symbolically explained by Writting, in "Eurofora"s NoteBook. 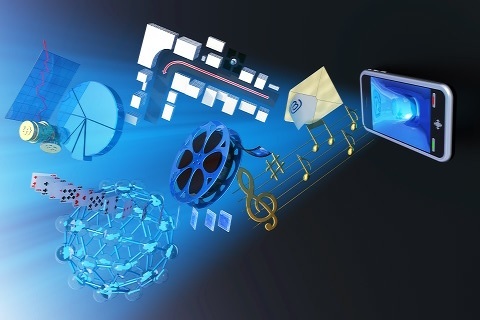 (NDLR : "DraftNews", as already sent, Earlier, to "Eurofora"s Subscribers/Donors. A more accurate, full Final Version, might be published asap).